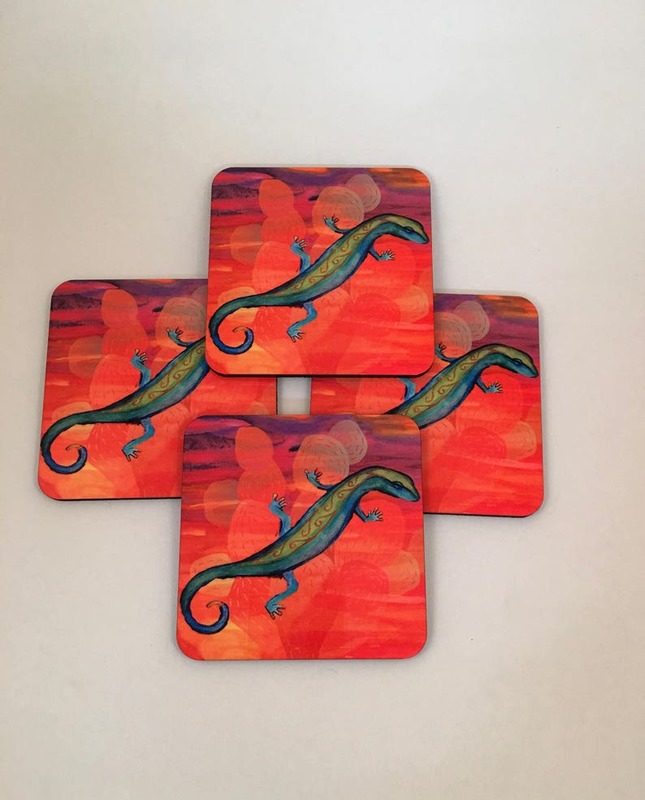 Southwest Gecko Lizard Graphic Art coaster set. This 4 piece hardboard coaster set is great for your Southwest style home, cabin, or condo! Coasters measure 3.75 x 3.75 and have a cork backing. Photography and graphic art make this set of coasters a great gift for weddings, house warming, or any occasion. Coasters come tied with twine to hold them together.